I know, I am stretching the Forrest Gump saying a bit, but it's true. Some years, due to soil comp, weather, humidity, rain, or like this year - wildfire smoke, I never know what a new seed will do in my garden. I planted a few new things this year, and tried a few new methods on others. 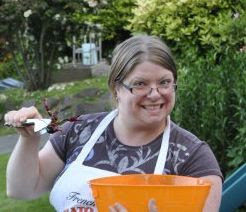 Every year in my garden is a new challenge, different story, some exceptional resulfs and some epic failures. 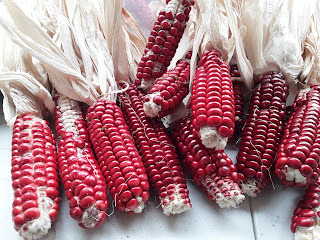 This year, I tried to plant a red corn. The problem? I planted it too early. 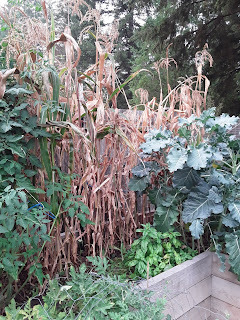 I don't have a normal garden, as I have 4 raised beds and a greenhouse.. Everything is either grown in pots or in the raised beds. This year we planted new things like Red corn, Kale, Broccoli, watermelon, bibb lettuce, onions, cabbage, and a few new kinds of cucumber. Everything is growing well! So well that when the corn was planted in April, I didnt expect it to mature by mid July. Lesson learned, don't plant these until after mothers day weekend. Unfortunately we got a real hot spell and my corn stalks started to burn. I harvested my corn, but it was overmature and tough. It's so pretty though so we are going to dry it for use in fall decorations. My mom is getting the stalks for halloween decor at her house. 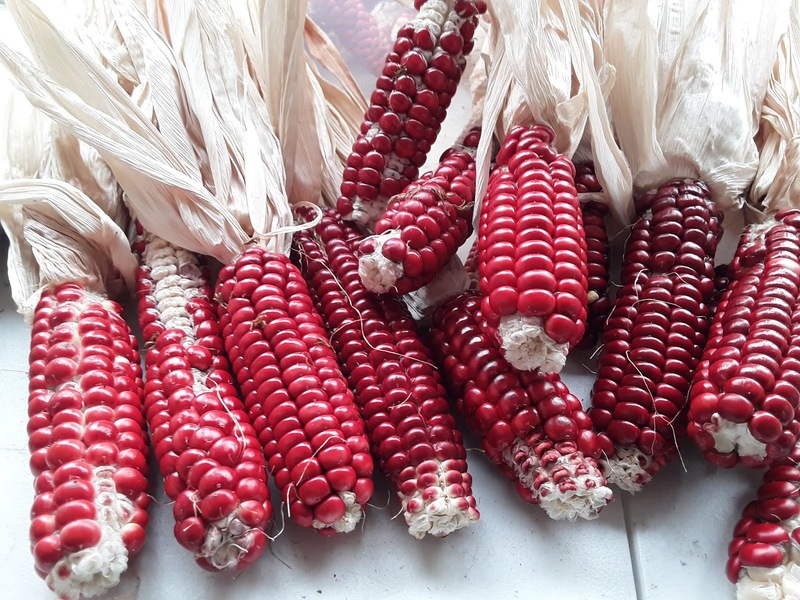 Garden Lessons are at least edible, so this early red corn will be hopefully gracing our gumbo night next year, just not this year.